The Anatoly Karpov Comprehensive Chess Course Karpov Master Method In this extraordinary 15-hour course, former World Champion Anatoly Karpov has put together the definitive training program on his approach to chess mastery. Focusing on positional play, strategy, and endgames, The Karpov Method takes you into the inner circle, revealing Anatoly’s discoveries and some of the chess’ deepest secrets. This is a rare opportunity to learn directly from one of the greatest players of all time, as Anatoly Karpov talks candidly about his games, opponents and the method he used to solve problems at the board. This is a rare opportunity to learn directly from one of the greatest players of all time, as Anatoly Karpov talks candidly about his games, opponents and the method he used to solve problems at the board. A true pioneer of the game, Karpov introduced strategic ideas, refined techniques and astounded the world with his masterful play. Now the 12th World Champion teaches you how to follow in his footsteps with an unforgettable tour of hidden chess truths. In the Karpov Master Method, Anatoly Karpov and GM Ron W. Henley explain in an easy-to-understand way many of the strategies and tactics that brought Karpov success at key moments in his career. As a bonus to the Master Method by World Champion Anatoly Karpov, the Karpov Method includes a 300+ pages pdf book on Anatoly Karpov, written by GM Ron W. Henley. All the examples from Karpov’s games presented in the course are included in the book. The table of contents gives you an overview of all topics and all the games. You can easily find the games in the book and recheck some key aspects or analyze them more deeply after having watched the course. And that's not all - in addition to the 15 hours of chess lessons is a fascinating in-person interview with Anatoly Karpov as he discusses Fischer, Kasparov, Carlsen and modern chess, among many other topics. Win Like Karpov! 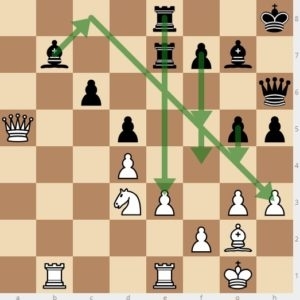 This is a very instructional series which explains strategy and tactics at a basic level both verbally and visually, whereby the student can easily understand the action on the chess board. We start by taking a look at Early Games and some Anatoly Karpov Classics. From there we move to look at the most amazing Combinations which are broken down by various tactical motifs and types of sacrifices. In the latter part of the course, we have a chance to look at Karpov's Endgames. Anatoly Yevgenyevich Karpov is a Russian chess grandmaster and the 12th World Chess Champion. He was the official world champion from 1975 to 1985. Anatoly played three matches for the title in total against Garry Kasparov between 1986 to 1990, before becoming FIDE World Champion once again when Kasparov broke away from FIDE in 1993. Karpov then held the title until 1999 when he resigned his title in protest against FIDE's new world championship rules. For his decades-long standing among the chess players world's elite, Anatoly Karpov is considered to be one of the greatest players in chess history. Ron Henley (born December 5, 1956, in Houston, Texas) is an American chess grandmaster, writer, narrator, and producer of chess videos. Henley obtained the International Master title in 1980 and the Grandmaster title in 1982. He also appeared on the cover of Chess Life in 1982, representing the United States. Aside from being a strong player in his own right, GM Henley acted as second, analyst and trainer for Anatoly Karpov in many of his matches in the 1990s. White has conducted a classic queenside minority attack and seems to be reaping the rewards. The black pawns on c6 and d5 are weak and fixed, and Karpov's rook pair does not seem too imposing - for the moment! However, Karpov's rooks are doubled on the half-open e-file and he does have space on the kingside. Karpov plays 36... h4! Karpov begins stirring up kingside counterplay. White plays 37.g4, naturally wanting to keep the kingside blocked and focus on his queenside plans. Now Karpov makes a temporary pawn sacrifice to activate his light square Bishop 37... f5!? On the white side of a Spanish Breyer Defense, Karpov obtained a connected passed d-pawn and his f5 pawn offered him a kingside space advantage. However, the White light-squared Bishop on d3 is a bit boxed in and Black does have a beautifully posted Knight on c3 and a 2–1 queenside pawn majority. Karpov’s plan is: a) Eliminate the intruder on c3 thereby reducing Black’s chances for queenside counterplay. 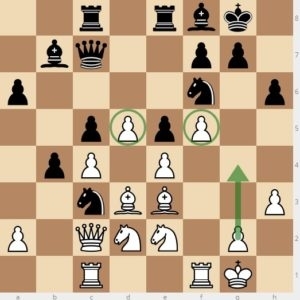 b) White will then increase his kingside space advantage. c) Utilize his superior mobility to break down the black defenses. With this amazing chess course featuring the legendary Anatoly Karpov, you'll be able to study one of the greatest chess players of all time and implement his technique in your own games against your opponents. Whether you wish to improve your game by learning from the very best or are just a fan of chess history, The Karpov Method is unmissable. In his new 15 hour Master Method, Anatoly Karpov gives you his unique insight into the mysteries of chess, revealing how you can copy his flawless technique and break your rivals’ resistance in the same way he does. A complete ebook on Karpov’s games, style, openings and favorite techniques, written by GM Ron Henley and only available as part of this course. Practical tests are designed to test your knowledge to the limit! ALL 120 featured games from the course WITH COMMENTARY plus the huge 1260 Karpov game database. Karpov sits down with GM Ron Henley and opens up about everything: Kasparov, “the match that never was” against Bobby Fischer, Carlsen vs. Caruana and tons more. Incredible! Incredible insight into 3 of the World Championship matches between the “eternal rivals” (4.5 hours). Another 6 hours of superb game analysis as Karpov explains his thought process step-by-step in the games chosen by The Informant as his best ever. Nearly 4 hours of Karpov revealing the secrets of Bobby’s greatness with analysis of his best games. This is an amazing package! There is so much material! Especially useful are the commented pgn-files which you can load into e.g. Fritz and play through, also with an engine on to check variants you don't understand right away. The comments explaining strategy etc. also for intermediate level players are very good. The videos I've seen are very good. Sometimes I don't understand all that is said so I don't know if a subtitle option would be possible? Many thanks to Ron and the ex World Champion!